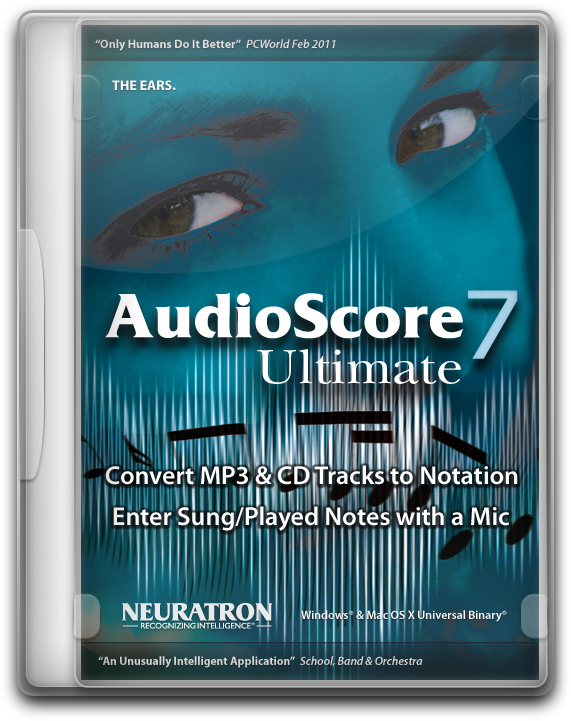 AudioScore Ultimate 7 – the full-featured version of the AudioScore Lite audio transcription software included with Sibelius 7 – makes it easy to transcribe CD tracks and MP3 files to a score. By using the most intelligent technology available, you can convert up to 16 simultaneous instruments/notes into multiple staves, with up to four voices per staff. Immediately after transcribing your music, you can send it directly to Sibelius – or save MusicXML, NIFF, and MIDI files for use in most other music programs. 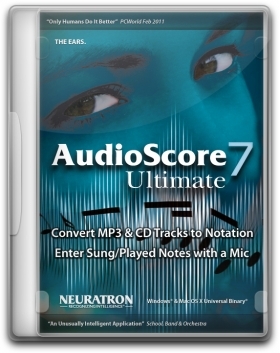 Version 7 now features a significantly enhanced audio recognition engine, and more accurate transcription with improved barline determination and note recognition. You'll also experience improved sound quality when you play back individual notes within the original recording. There's an Instrument recognition and Instruments pane for quickly allocating notes to instruments – plus a clearer and more straightforward transcription process.